"Rigby standing a bird in training"
Rigby has proven himself in trials across the country. He has been winning and placing in gundog and shooting dog stakes all over the country. He earned his Field Championship FC in 2009, and in 2011 won a 2nd 4 point Retrieving major to finish his Amateur Field Championship AFC.  In 2009 at a young 3 years old he won the Midwest Vizsla Shooting Dog Championship held in Ionia Michigan. The Championship is a 1 hour stake held under American Field Rules. He had a big forward run, held the edges with quality birdwork and a nice back. When other dogs were slowing he pushed harder. When the course demanded he handled easily and stayed close. Rigby has had a rewarding National career receiving placements but never able to take home the win. his drive, speed and desire make things happen very quickly. he is a dog on the knife edge. Rigby had a great Derby field trial career. In the spring of 2007 at 9 months he was awarded a 3rd place in the VCA National Puppy stake at Portage Wisconsin. In the fall of 2007, Rigby earned an award of merit in the VCA Nationals Derby stake held at Branched Oaks in Nebraska. 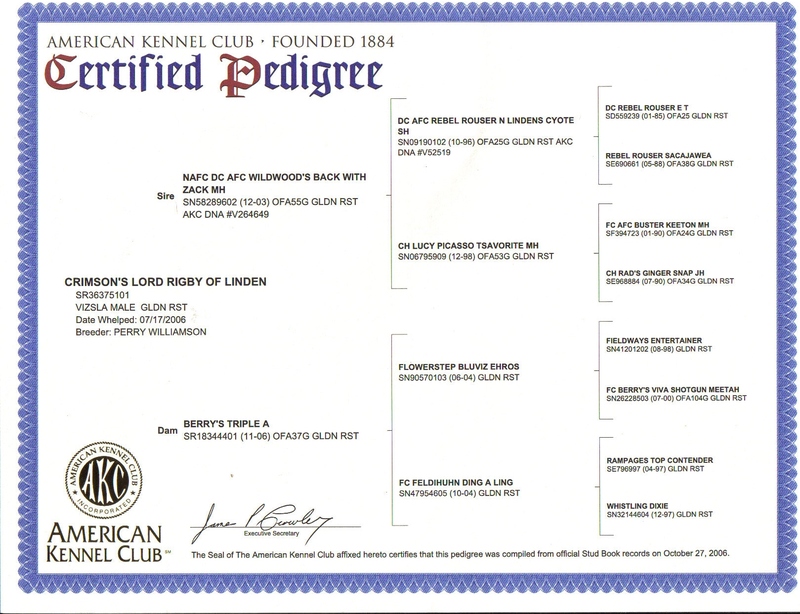 Rigby has won or placed in almost every Puppy or Derby stake he was entered. Pam handled him to her first blue ribbon at the 2007 fall trial at the Vizsla Club of Eastern Iowa. Rigby won the blue in the three stakes he was entered at the VCOI fall trial and won 2nd runner up in the 2008 Midwest Vizsla Field Futurity. Rigby was purchased from Denny and Linda Keeton of Linden’s Vizslas. We looked a long time for the right breeding. Rigby’s sire is NAFC DC AFC Wildwoods Back With Zack, and his Dam is Berry’s Triple A. They made for the perfect combination of show and field. Rigby conforms nicely to the standard. With excellent hips, a nice chest, good bone and feet he should be in the conformation ring, Unfortunately he will never be shown due to an accident he had at 8 weeks old when his leg was broken. Fortunately this does not slow him down in the field, not even a little bit. Rigby is available at stud to approved Females. natural, fresh, and frozen available.